Summer is almost here and we are excited that the warm weather has finally arrived! Now that we are all spending more time outdoors, it’s the perfect time to spotlight Plaine Products, a Leaping Bunny certified company with the mission to end single-use plastic from the bathroom. Be sure to check out our eye-opening interview with CEO Lindsey McCoy below, which really makes you think about our daily use of plastic and how to reduce it. 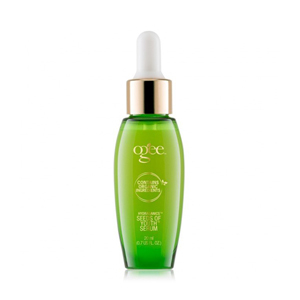 Also included in this newsletter, we put Ogee’s jojoba oil skin care system to the test for its anti-aging properties. We also share some of our most recently certified companies. Make sure you check them out; these brands cater to a wide variety of individuals and offer an amazing assortment of products. 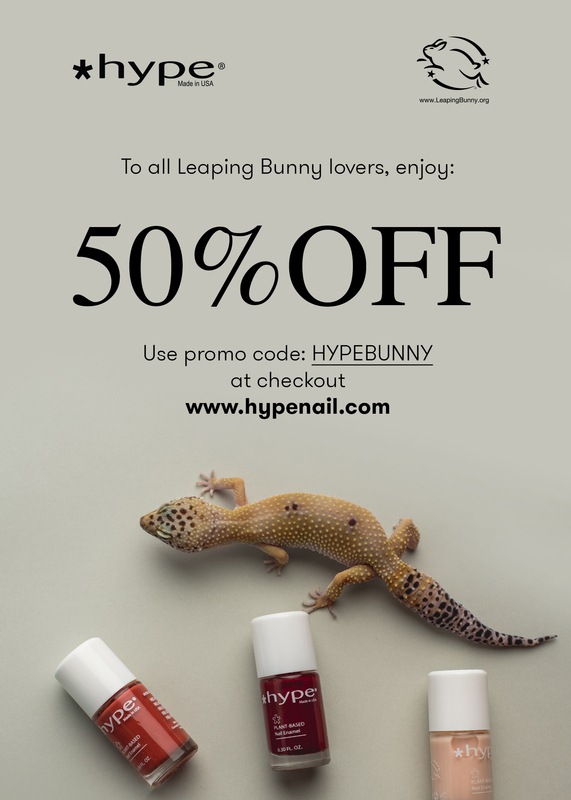 Lastly, we end with exclusive deals from Ginga, Hype, and Momotaro. As a lady in her early 30s, I am becoming more conscientious to ensure that my skin is getting the best care possible. I’ve currently been on an anti-aging skin regimen kick, hoping that my skin remains youthful as time progresses. I was super excited to try out Ogee’s skin care system, which features jojoba oil. Claimed benefits of jojoba oil include super-hydration, long-lasting moisturization, and anti-aging and anti-microbial properties. After washing my face, this serum gives an instant jolt of hydration. It is super light, not greasy at all, and absorbs quickly into the skin. It contains aloe leaf gel and hyaluronic acid, which bonds moisture within the skin while the jojoba oil ensures a balance of moisture over time. It’s the perfect base to the skin. This oil is a wonderful infusion of extra moisture for specific areas, such as wrinkles and fine lines. I tap this product into those concentrated areas, specifically my forehead, and around my eyes and smile lines. I have definitely noticed an improvement and reduction in those fine lines, which may be due to the properties of jojoba oil having the ability to hydrate, renew skin cells, and improve skin elasticity. No skin care routine is complete without a daily moisturizer! This one is wonderful because it’s super light, not greasy, and quickly absorbs into the skin. It also contains squalene, an oil derived from sugar cane, and helps to decrease skin roughness. After using the serum, face oil, and day cream, my skin is hydrated and fresh without being greasy or wet looking. As a serial lip balm addict, this sculpted lip oil provides the perfect infusion of moisture without leaving behind a greasy feeling. Although a lip oil, it is a solid rather than liquid. This product can be applied before lipstick or gloss, and is great on its own, as well. Since it does not leave behind a greasy or wet consistency, it’s wonderful for individuals looking for hydration without the look of wearing a lip product. 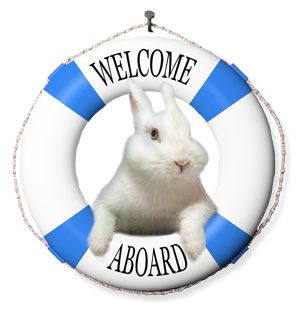 Leaping Bunny’s Compassionate Shopping Guide has grown to over 1,000 companies! 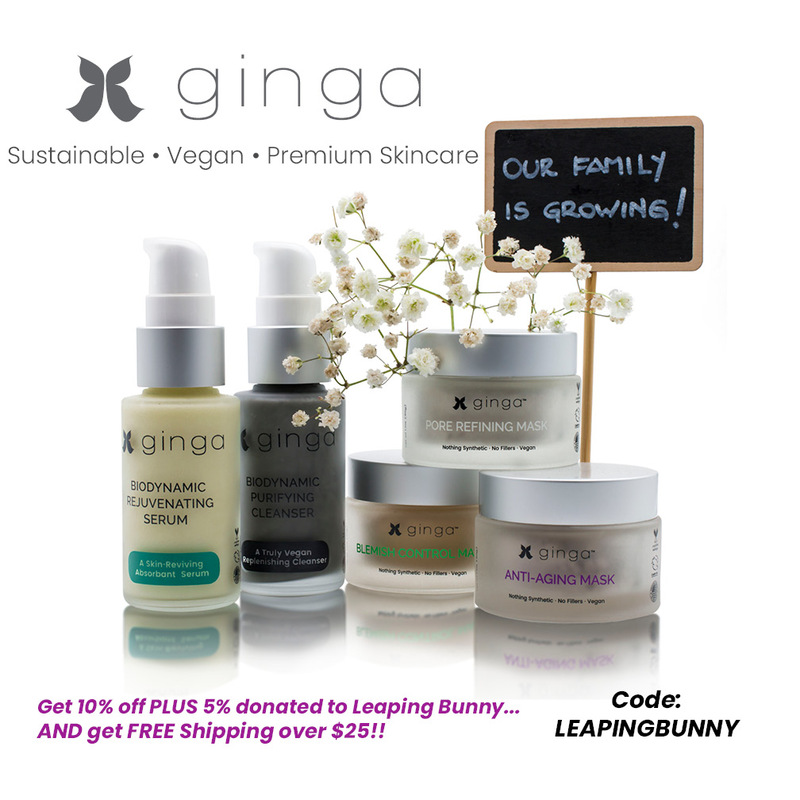 We are so honored that companies continue to find the value in becoming Leaping Bunny certified. Please welcome our most recently certified brands! Be sure to click on their links and show them love; many of them are small, independent brands and would appreciate the support! Handcrafted, safe, effective, and organic skin care products packaged in airless containers. Handcrafted essential oil soaps and skin care products. Multi-purpose head care products for individuals that are bald “by choice or by chance.” Check out our full review here. Natural skin care brand for ladies and babies. Natural deodorant made with high quality raw, unrefined, and fair-trade ingredients. All-natural, non-toxic household, essential oils, and personal care products for the whole family. Luxury skincare line developed by a dermatologist. Hardworking, multi-purpose body care products made with natural, organic ingredients. Personal care line focused on eyes, eyebrows, and eyelashes. Clean beauty brand focused on lipsticks, lip glosses, and essential oils. Naturally luxurious skincare line formulated with an exclusive blend of skin-nourishing marine botanicals which infuse the skin with potent antioxidants, vitamins, and minerals. Fresh, beautiful scents handcrafted in LA. Simple, effective, and natural personal care and beauty products. 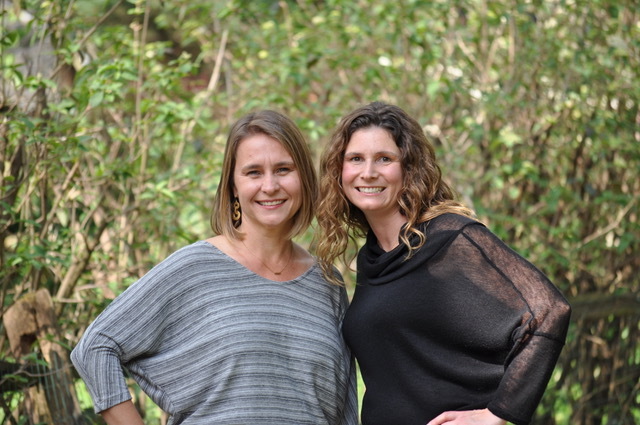 We’re so excited to welcome Lindsey McCoy, CEO of Plaine Products! This company is on a mission to eliminate single-use plastic from the bathroom. 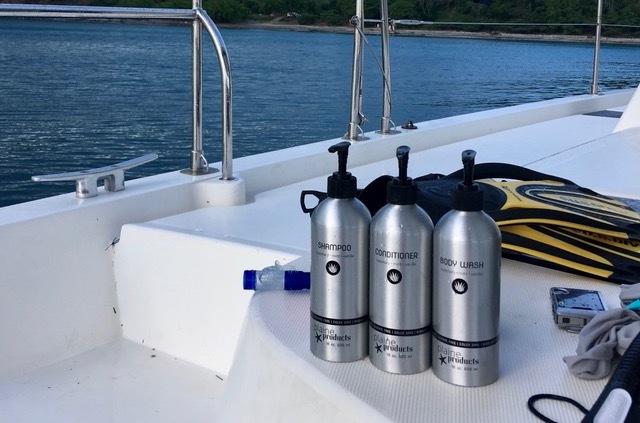 Packaged in refillable, reuseable bottles, we love and appreciate this company taking the extra step to be environmentally friendly. In addition, their products are incredible! Please check out our review of their shampoo and conditioner on our Instagram. Read below to learn more about the inspiration behind the brand, mission, and favorite products. Please use the code LB20 for 20% off Plaine Products online store! What was the inspiration behind the creation of Plaine Products? For 10 years I lived in the The Bahamas doing environment education work. While I loved living there, it wasn’t all rum drinks on the beach. On a small island there’s no first world infrastructure to insulate you from the piles of plastic we are creating. You see plastic bags, bottles and flip flops on the beaches, in the water, spilling out of the landfills, along the side of the road. 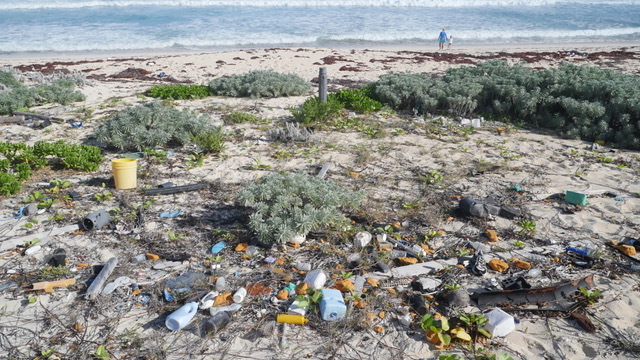 There’s even a place so full of plastic it’s called Junk Beach. The message that plastic last forever, no matter how long we use it, is much more obvious living there than it is here. I wanted to start using less plastic in my life. I started taking action: carrying a reusable water bottle, reusable grocery bags, skipping the straw at restaurants and bars. I looked for other ways to use less plastic. But I couldn’t figure out how to get those plastic bottles out of my shower. I’m not crafty enough to make my own shampoo safely and shampoo bars didn’t work for me, I needed another option. As we contemplated a move back to the States, I realized that I might be able to solve my own problem. Even better, I might be able to help other people use less plastic in their lives. I pulled in my sister, Alison Webster, who has a design degree and strong opinions about the quality of her products. Together we spent two years finding the right containers and products. We launched in February 2017. My sister and I share the maiden name of Delaplaine, so that’s the main inspiration. But I also liked the idea of a plain and simple product, harkening back to the days of when milk bottles were delivered to the door and the empty bottles were returned and reused. That plain and simple aesthetic is reflected in the design of our bottles. What is Plaine Products’ mission? Our goal is to make it easy for people to get quality, cruelty-free products without having to buy single use plastic bottles. The less single use plastic in the world taking up room in our landfills, spilling into our oceans, the better for all of us. 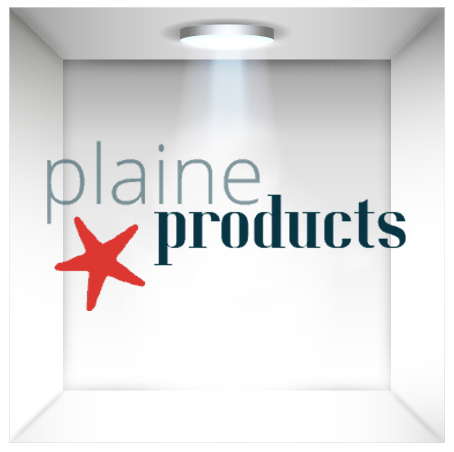 What is your favorite Plaine Products product and why? I adore the shampoo and conditioner because they got us started, but I’m currently most in love our body lotion. I love the fresh scent. I’m also excited about the face wash and face moisturizer we’re adding to the site in June! 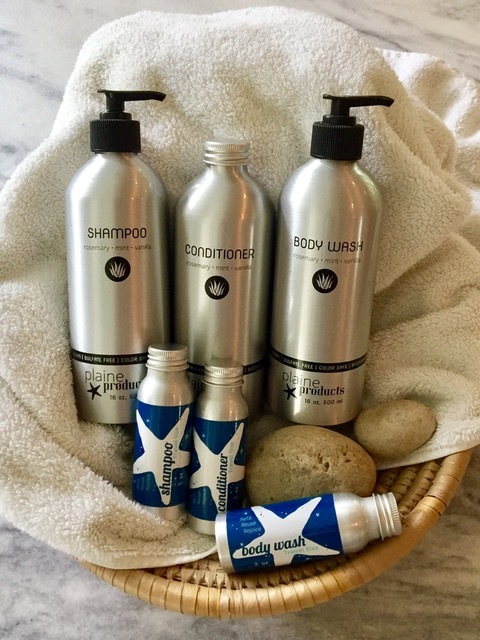 Our travel size products are actually the most popular. I think both because they allow people to eliminate little plastic travel size bottles and they work great as samples. The bottles are designed to be reused and refilled with our larger 16 oz bottles. What has been the most rewarding part of creating Plaine Products? The messages of appreciation we get from customers who are so grateful for quality, vegan, cruelty-free products without single use plastic. They totally make my day. Who is Plaine Products target market? People who want cruelty-free, vegan, and non-toxic products and who want to use less plastic in their lives but haven’t found another solution that works for them. Thus far our customers have been across the board: young and old, moms, dads, singles, and college students. It’s actually been really fun to see the diversity. Hopefully we are making it easier for people who want to use less plastic but have never taken the step due to time constraints, or the lack of available options. Are all of Plaine Products’ products vegan? Yes! Only when I started doing research for Plaine Products did I realize how many chemicals were in mainstream beauty products. It was an eye-opening experience to read about the toxins, detergents and pollutants I was putting on my skin and in my body. While I started this business out of concern for all of the plastic we’re putting into the environment, and the fact that there might soon be more plastic than fish in the ocean, it’s also become important to me to educate people about the importance of natural ingredients to their health. I’m still learning every day. Happily, being natural goes hand in hand with being cruelty-free and vegan. 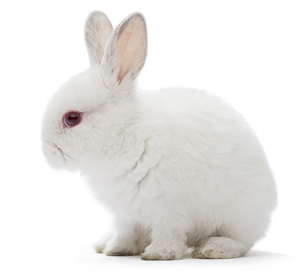 Why is being Leaping Bunny certified important to Plaine Products? It just didn’t make sense to me to offer this amazing, environmentally friendly packaging and then put chemicals that were harmful to people, animals and the environment inside. It took extra time, it was two years from having the idea to actually launching the company, but we selected a product supplier with vegan, cruelty-free ingredients because it was the right thing to do. What is something unique about Plaine Products that others may not know? Many people are confused by how our system works because it’s unique. Here’s the process: You order your preferred products for our website. When your bottles are low you order a refill, or you can subscribe and we’ll send the bottles automatically. When the refills come you’ll switch the pumps over and send back the empty bottles in the refill box, Plaine Products covers the cost. Then we clean the bottles, refill them and reuse them. As far we we know we’re the only company taking responsibility for our packaging in this way!